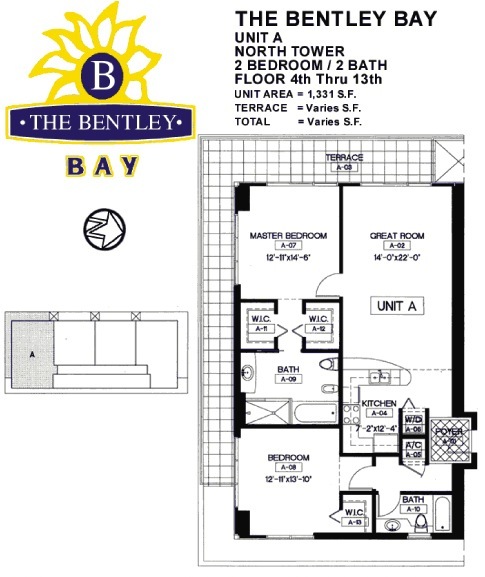 The Bentley Beach was the first five-star oceanfront condo hotel in South Beach's fashionable South Fifth neighborhood. 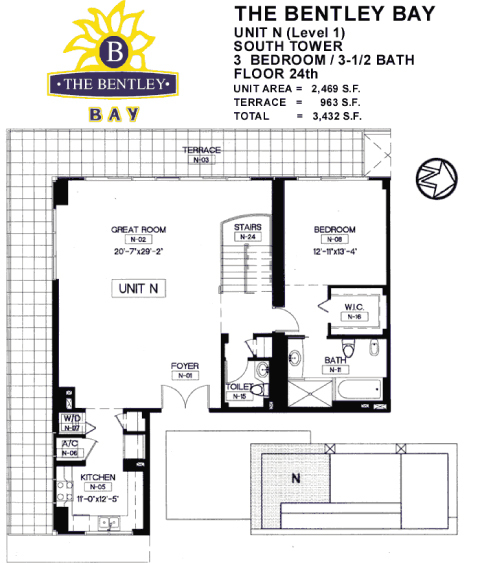 The construction of the two highly comfortable towers that comprise the Bentley Bay condimunium was completed in 2002. 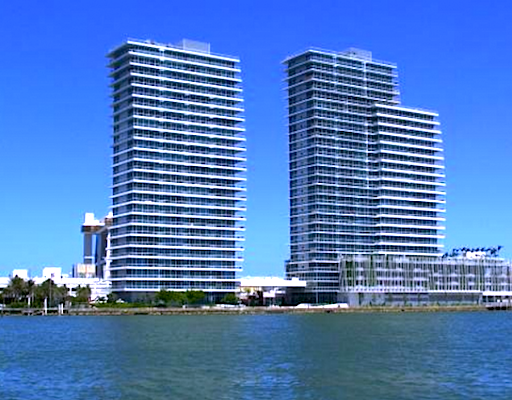 The towers are perfectly situated in the heart of South Beach. 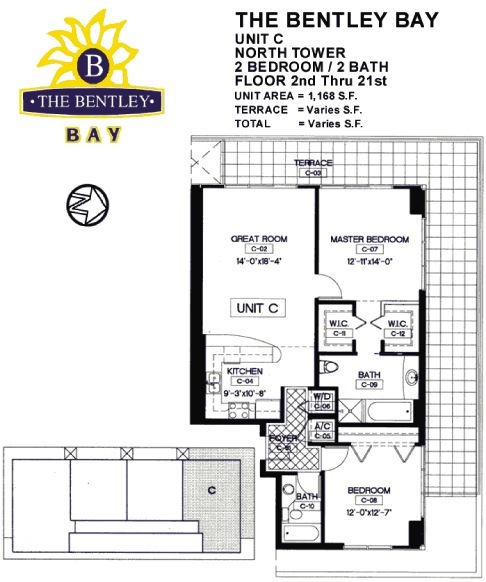 The proximity to the best South Florida's recreation, culture, nightlife, entertainment makes Bentley Bay a truly desireable place. 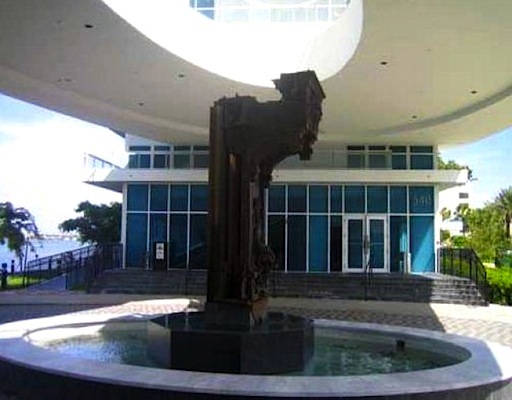 The towers are situated within a walking distance from Ocean Drive that is a major thoroughfare in South Beach, known for Art Deco hotels. The street is the center of the Miami Art Deco District, which is home to about 900 preserved buildings. 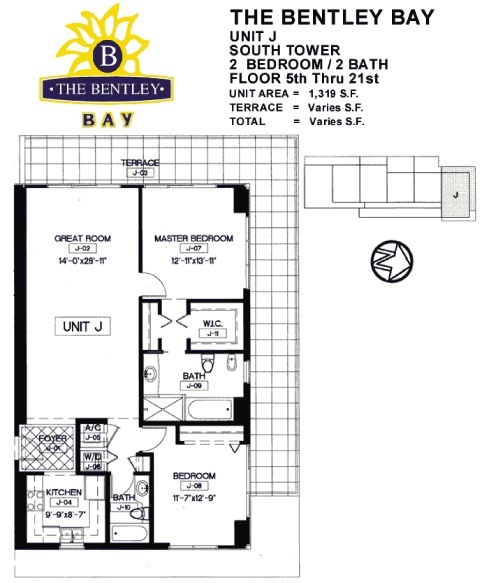 Bentley Bay is just minutes away from a pedestrian friendly street of Lincoln Road and Española Way with a stunning variety of restaurants, boutiques, cafes, lounge bars and night clubs. There's plenty of options. The area is also famous for a diverse cultural life. There are various galleries, museums, music festivals that gather people from all the corners of the globe. 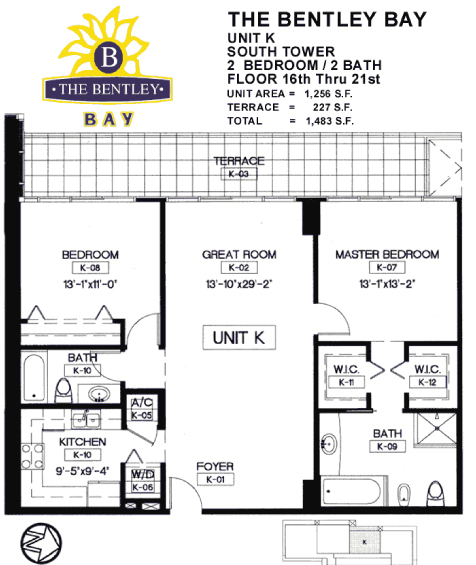 Designed by the prestigious architectural firm Arquitectonica, Bentley Bay is 2-tower building. 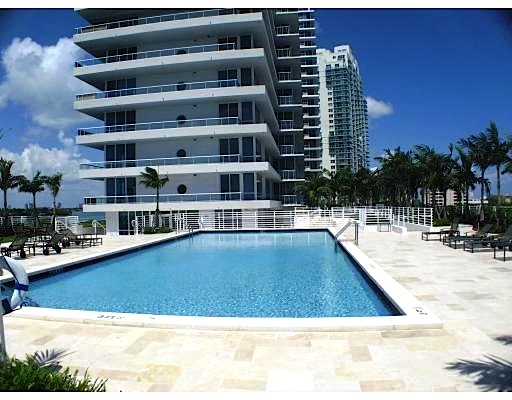 Rising 25 stories above the shoreline, the building offers stunningly gorgeous views of Miami's Skyline and the Atlantic Ocean, Biscayne Bay and downtown Miami from South Beach. All common areas are masterfully decorated by Italian designer Armando Albeldas. A magnificent Porte Cochére featuring a soothing water cascade is like a doorway to a successfull life full of first-class amenities. 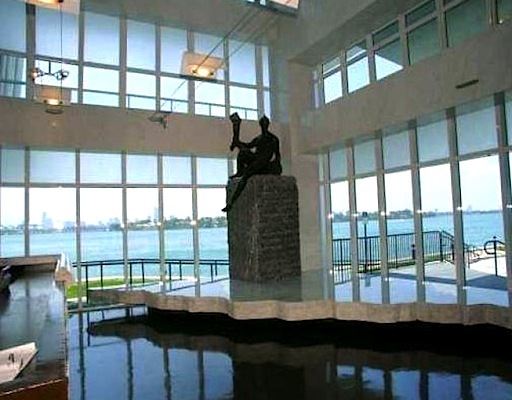 Spend a romantic evening on a beautifully landscaped garden terrace taking delight in breathtaking views of Biscayne Bay, Star Island and downtown Miami. Take a dive into an infinity edge swimming pool or relax in 2 large whirlpool Jacuzzis situated on a landscaped deck on level 5. 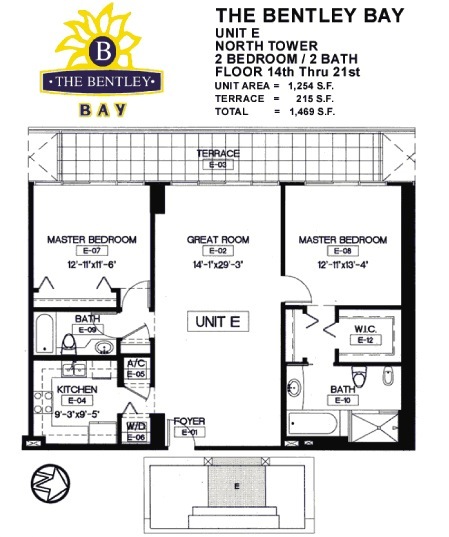 For those who want to keep fit, Bently Bay offers a fully equipped fitness center with spa, massage room, sauna and steam room. 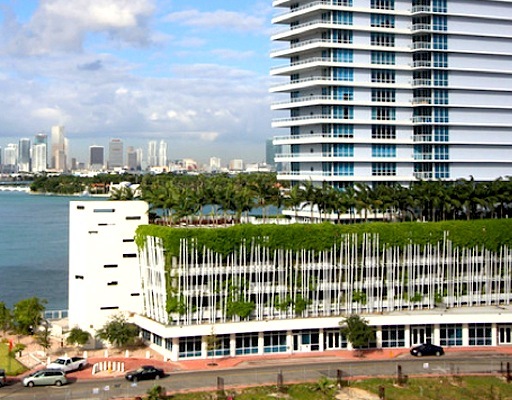 If you desire to find a fine dining option, there's an excellent dining restaurant with a terrace offering splendid views of Biscayne Bay. Amenities also include 5-level covered garage with 24-hour valet parking, private high-speed computer programmed elevators, full concierge services, highly qualified and friendly security personnel. 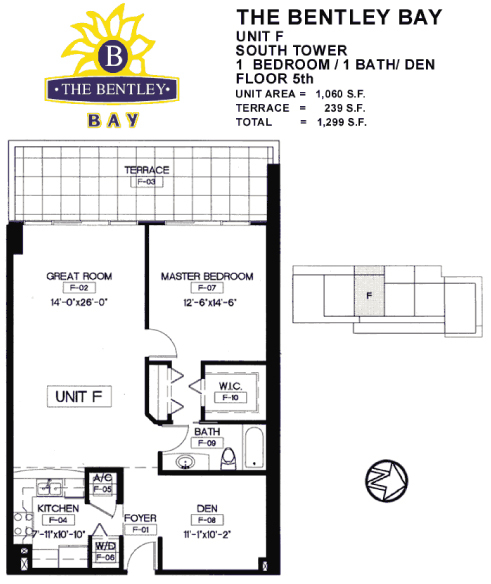 Bentley Bay features 170 luxury condominiums. 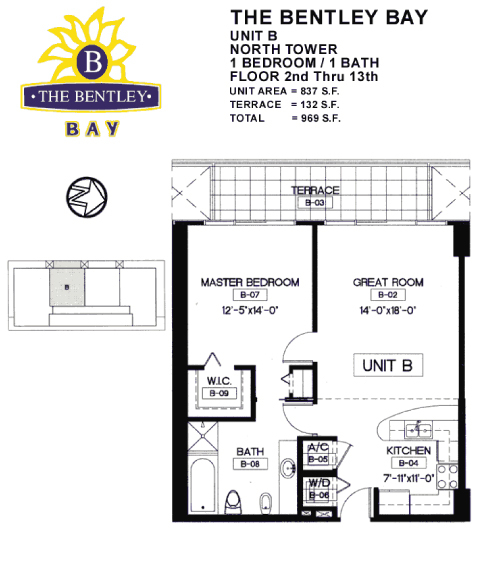 The ultra-luxurious residences are located on floors 2 to 23 in the North Tower and 5 to 25 in the South tower. Residences feature eight-foot high solid core wood entry doors, handcrafted European solid core wood interior doors, soaring nine-foot high smooth finished ceilings, spacious private terraces, accessible from all bedrooms and living rooms, floor-to-ceiling reinforced sliding glass exterior doors with tempered, energy-efficient tinted blue glass, floor-to-ceiling glass windows, expansive walk-in closets, designer outlets and switches, recessed down lights in hallways and bathrooms, door chimes at each residence. 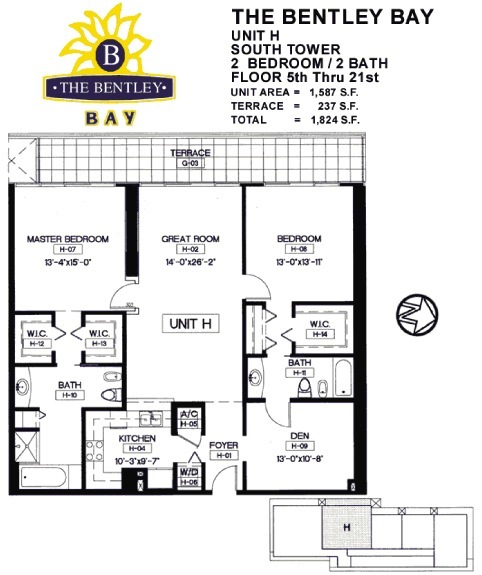 Each residence is equipped with modern fire sprinklers, smoke detectors and alarms throughout living and sleeping areas, individual security system with front entry keypads. Life in Bentley Bay is all about security. 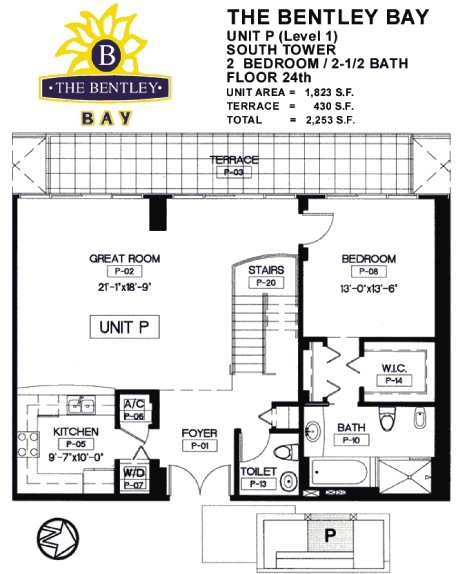 Each residence is pre-wired for a high-speed Internet access, cable TV, multiple telephone lines and security systems. Kitchen amenities include custom imported European cabinetry, marble countertops and backsplash, under-cabinet lighting, variable speed recirculating range hood, ultramodern stoves, refrigerators, microwaves and other appliances. The design of bathrooms is flawless. 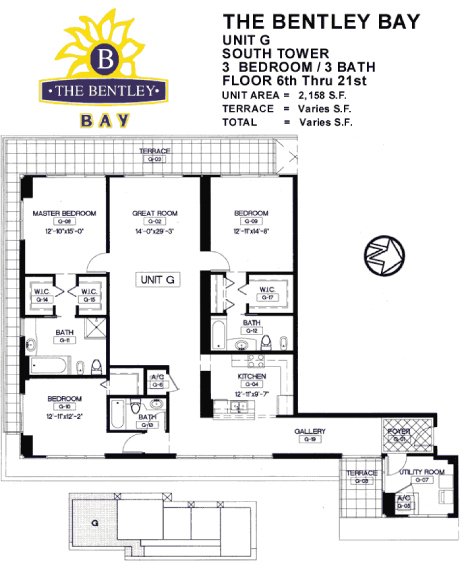 Bathrooms feature soaking tub with waterfall spout, Italian marble flooring in wet areas and shower, separate tub and shower, full length mirror, marble vanity countertop with sink, seamless glass shower enclosure and door, European imported counter fixtures, whirlpool tubs. 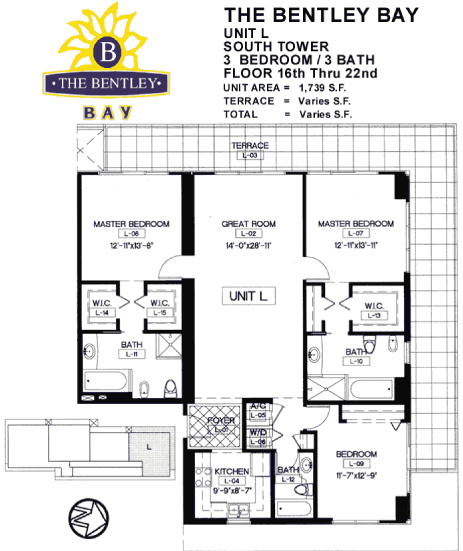 Bently Bay is a truly ideal place for the successful, determined, confident individuals who always think big to win big, who never settle for less.